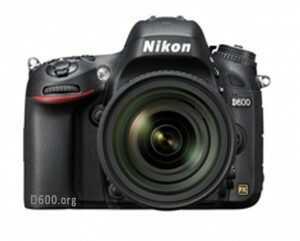 The Nikon D600 will be announced on Thursday and official photos of the camera have been leaked ahead of schedule. Nikon will hold press conferences on September 13 to show the camera to the media, however nearly all the specifications are known. The D600 will feature a 24.3 MP resolution (from 24.7 total pixels), and bring the price level of full-frame photography to the mainstream. By building Nikon D600 in a compact, yet still durable high-level consumer body, amateurs and enthusiasts will have the opportunity to take advantage of the full line of professional Nikkor lenses. The D600 brings video to a new level, sharing many features with top-of-the-line D4 and D800 cameras. The Nikon D600 will shoot video in using FX mode as well as a 1.5X DX crop mode, offering HD resolution using the full array of Nikkor and 3rd party F-mount lenses. Video resolution of 1080p in 24,25 and 30 fps is offered, as well as 60 fps in 720p mode. Internal video codec is H.264 / MPEG-4 AVC format, in addition uncompressed HDMI output. 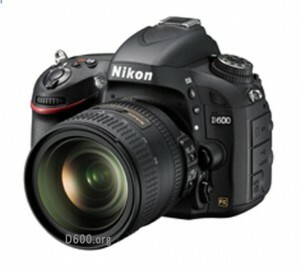 Nikon also announces the optional WU-1B Wi-Fi accessory for the D600. This wireless unit plugs into the USB socket on the D600 and communicates with other devices including smartphones and tablets. It allows the live view image to be transmitted to wireless device as well as remote release control for the camera. Captured images can be shared with family and friends using online social networks. Support will be available for both Android and iOS devices including the iPhone and iPad. any info for the price?